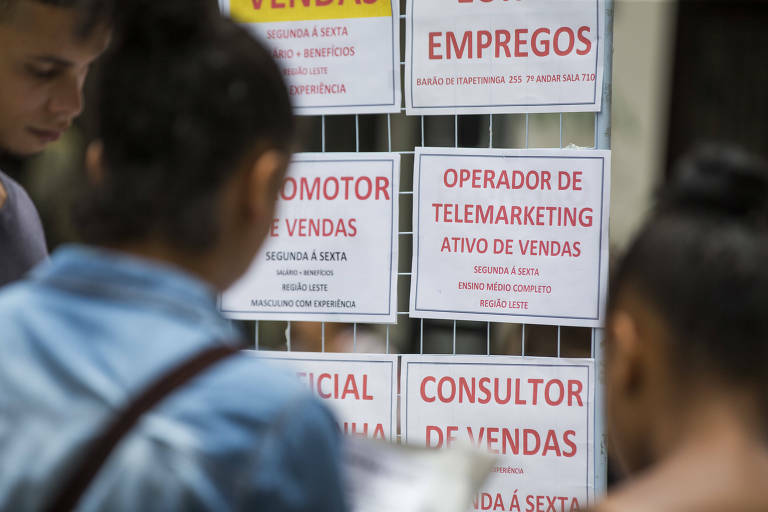 The slow and erratic improvement in Brazil's unemployment rates and a large number of people in precarious jobs are making many experts concerned if for many Brazilians being unemployment will turn from a temporary state into a permanent situation. The phenomenon, called structural unemployment, would damage the economy as a whole. The long-term unemployment rate, which that tallies people who are unemployed for over a year, was at 4.8% of the total workforce in late September 2018, according to the most recent data from IBGE (Brazilian Institute of Geography and Statistics). That percentage has been steady since 2017, way above the average of 2.4% registered between 2012 and 2014. The rate is directly associated with how slowly the Brazilian job market has been recovering from the recession. New data released on Thursday (31st) by IBGE show that Brazil's unemployment rate closed in 2018 with no significant change in comparison to 2017 and reached 12.1 million people. In total, the country ended 2018 with 27 million people among unemployed and employed but working fewer hours than they would like, as well an additional 4.7 million discouraged workers, with both numbers in a historical high. The situation is worrisome, experts say, because the longer people remain unemployed, the harder it is to go back to the workforce.